Blog Is it against the law to roller blade in the street wearing a gorilla costume? Is it against the law to roller blade in the street wearing a gorilla costume? You may think that no one could be so foolish as to roller blade in a public street while wearing a gorilla costume. But you would be wrong. 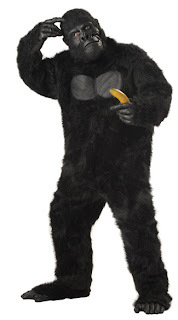 In R. v. Zimmer, 2004 SKQB 444, the Court considered a traffic violation ticket issued to Mr. Zimmer, who was arrested by police for roller-blading on a public street, wearing a gorilla costume and advertising for a local business. He was convicted in the Traffic Safety Court of Saskatchewan on the grounds that he did unlawfully perform “an activity on a public highway that is likely to distract, startle or interfere with users of the highway”. A few other provinces have similar statutory provisions, including s. 188 of the Yukon Motor Vehicles Act, R.S.Y. 2002, c. 153, which prohibits such activities “whether or not with the use or aid of any animal”. It’s wild country up there. Surprisingly, there is no equivalent provision in BC’s Motor Vehicle Act. While s. 250 prohibits anyone from driving or operating a motor vehicle in a manner that is likely to distract, startle or interfere with users of the highway, it does not appear that there is an explicit provision that would apply to a person roller-blading in a gorilla suit. That doesn’t mean that such an activity is legal, and even if it is legal, it’s still a bad idea. Looking for an motor vehicle law firm? Call us.